The first Spencers were actually called Despencer - describing a man who was a “dispenser of provisions.” They were originally butlers or stewards in large households, monasteries and royal palaces. The middle English word Spense and the Old French despense both mean larder, so the earliest butlers were in charge of the larders and butteries of the great houses. They were valued, trusted and powerful members of the royal court throughout the middle ages and were far from being mere underlings. It seems the first Despencers came over to England with the Norman invasion in 1066. On the day after his victory at the battle of Hastings, William the Conqueror summoned his clerk, and asked him to make a list of those who had accompianied him from France to England. The list was called the “Roll of Battle Abbey” and the new King was then able to discover who was alive and who had died. The name of his steward, Robert Despencer, was on the list. Our first traceable Spencer ancestors are James Spencer, a soldier, and his wife Ellin who had two children that we know of, both born in Ovenden, West Riding, Yorkshire, England. There is a possible marriage for a James Spencer and Ellin Hargareaves which took place on 21-01-1798 in Halifax, Yorkshire, which would tie in, but this needs to be proved. John Spencer was a widower and a weaver of Ovenden, West Riding, Yorkshire when he married Mary Priestley on 02-10-1829. It is likely that his first wife was Susanna Emmett who married a John Spencer in Ovenden in 1824, but we need a death of a Susanna Spencer to prove this. Both Sarah Ellen and Mary Ann Spencer came out to New Zealand with their husbands in the 1860s. This is thought to be a picture of Jabez Lord and Mary Ann Spencer but hasn't been confirmed. If anyone can confirm this it would be much appreciated! 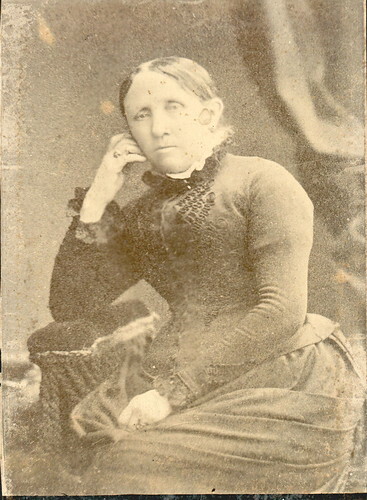 Sarah Ellen Spencer was the elder sister of Mary Ann Spencer, wife of Jabez Lord. She was born in Halifax, Yorkshire, England and her father was John Spencer, a wool scourer and weaver. 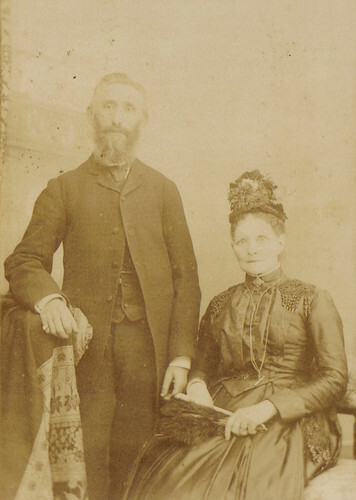 She married a gardener, Thomas Andrew Anderton, (1829 - 08-09-1896) in England and they came to New Zealand on the Metropolis. The Metropolis, a ship of 1082 tons, departed England on 07-03-1863 and arrived at Lyttelton on 16-06-1863 with 160 passengers, with Captain Kennery sailing.. Mary Ann had arrived three years earlier and possibly sent news of what New Zealand was like and maybe encouraged her sister to come over as well. The Andertons lived in the Courtenay district, down the road from Jabez and Mary Ann Lord on a corner of Station and Coal Track Road (now called Old West Coast Road). They didn’t have any children but looked after Edwin Lord at one stage. We are not sure if any of the other children lived with them also. Thomas Anderton passed away in 1896 and Sarah wrote a letter to England to tell his relations. We have a letter which was sent in reply from a nephew of Thomas’s whom they had never met. It talks of Thomas’s three sisters Mary Ann, Martha and Jane and other friends and relations. In those days by the time someone had died in New Zealand it must have taken months before the relatives on the other side of the world heard of the news. Auntie Anderton (Sarah) may have lived with Mary and Edwin Lord in the early 1900s at Ohoka as Dorothy Lord remembers her giving the children money for a stick of lollies. We also have a postcard that Dorothy Lord wrote at that time to “Mum, Dad and Auntie”. She passed away on 22-03-1912. Thomas and Sarah Anderton are buried in Courtenay Cemetery next to St. Matthew’s Church.